Are you already happy with your Pay-Per-Click (PPC) performance? You may answer with a resounding yes if your business revenue has gotten a significant bump since you started investing in PPC. While you can give yourself a pat on the back, it may still be in your best interests to tweak your PPC campaign (if you’ve not done so). If you’re not sure what PPC is or why your business needs it, this article on Why Your Business Needs PPC is for you. PPC optimisation not only helps improve your PPC results with better returns on investment, it can also keep your current PPC performance on the right track. 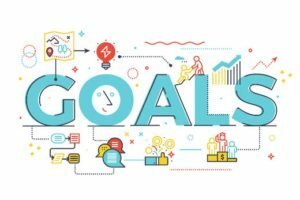 Whether you are running your own company or dealing with a client, having clear goals is a must to boost not only your PPC performance but your overall online strategy. You need to better assess what your business or company wants to achieve with its marketing of products and services. This step is important even if your PPC performance is doing well. Maybe your target audience is not as well defined as it can be. You could be in danger of targeting less effective keywords rather than the ones that an audience with greater purchasing intent is searching for. There is no singular answer to what is considered a solid account structure. The truth is, the account structure of your PPC will vary depending on your business or client. However, there are some universal rules about developing a solid account structure. First rule is that it should make controlling performance as simple as possible. Another is that it should have tightly aligned ad groups and keywords. A PPC starts with a campaign (Product/service you wish to promote). All your campaigns will then be divided up into Ad Groups. Here, you should already line up your campaigns depending on your business goals and industry. Think of Ad Groups as the ship that contains all your keywords, text ads, and landing pages. A good Ad Group should be able to satisfy who you want to advertise to and what you want to say. Within the Ad Group, you will need to create a keyword list, adverts, and set landing pages that are tightly aligned with each other. In order for you to know if you have made a great account structure, you can check your Quality Score. This is a rating system provided by Google within Adwords based on your click-through rate, ad relevance, and landing page experience score. Cost-per-click or CPC has some drawbacks for the advertiser. For example, advertisers will have to bid for a preferred position in Google. Bidding cheaply may result in an ad that few people will see while bidding too high could end up costing a lot for modest sales. 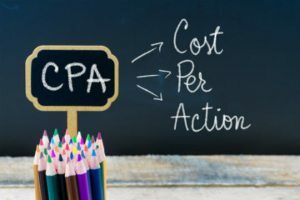 An alternative model is the CPA or Cost-per-action. With CPA, you can set the amount that you are willing to pay depending on the action your customer takes. You need to define this action (see Point 5 below) before CPA is enabled in Adwords. Based on your CPA bid, Google determines when and who to show your ad to. There is also the potential to have a better ROI for your set budget. With AdWords, you can create multiple versions of edits with your drafts and run an experiment. Through this, you can see the difference between your original campaign and the edited version to compare which one is better. If the experiment performs better, you can apply the experiment to your original campaign. You can also just pause the original campaign and run the experiment as a new campaign using the same dates and budget. Take note, you can only run one draft as an experiment at a time. All these can sometimes be overwhelming to do yourself, so check out our Search Engine Marketing Services to see how we can help you with your PPC optimisation needs. As a marketer or a business owner, you should be relying mainly on data rather than gut feel when it comes to the results of a campaign. Setting up conversion tracking for your PPC campaign will help you track the effectiveness of your advertising. You will be able to see how important customer actions such as website purchases, mobile app downloads, newsletter sign-ups, and even phone calls are performing. Conversion tracking often starts with creating a conversion action using your AdWords account or your Analytics account. 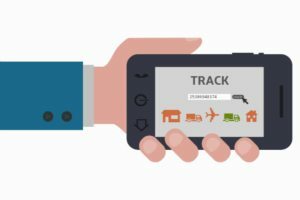 The action is specific to the activity that you want to track – website actions, phone calls, in-apps actions, etc. Each conversion tracking slightly differs from each conversion source. But once you have set it up, you will be able to see data on conversions for campaigns, ads, keywords, and ad groups. Watch the video below for further information. Inefficient campaign settings can consume a lot of your budget. Your campaign settings should be optimised based on your business goals. For example, if your goal is to increase your brand’s visibility in a particular country, you have to make sure that your PPC campaign setting focuses on that area. If your website is not optimised for mobile devices like tablets and cellphones, it will be pointless to run a mobile PPC campaign. Your campaign settings are where you make these sorts of changes to create a focused campaign. A landing page that does not have a good Call to Action and takes a really long time to load will cause you to lose business. Optimise your landing page and it will work wonders for your conversion. 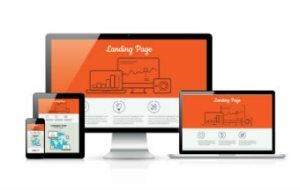 If you are unsure how to create a landing page that will work for your business, check out our conversion optimisation service page to learn more about how you can convert your web traffic into actual leads. I hope this article sheds light on how you can utilise PPC optimisation for your business. Buying into the PPC model is a great way to advertise what you are trying to sell. However, the simple tips shared above could make it even more effective. By following these PPC tips, you will always be one step ahead of the competition. 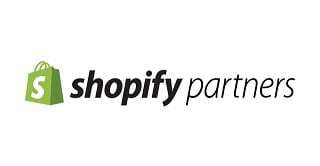 If you have had experiences with PPC optimisation, please share with us by leaving a comment below. Have questions regarding PPC? Please feel free to contact us and we will be happy to assist.